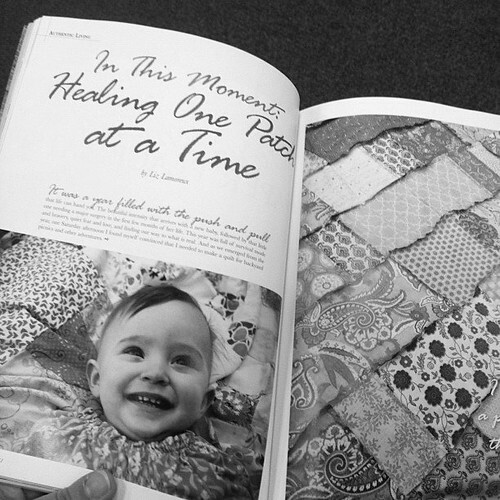 "In This Moment: Healing One Patch at a Time" is my new article in the Autumn issue of Somerset Life. It is the first of three articles I am writing for their Authentic Living column. So honored to be sharing stories about being "in this moment" in the midst of it all. In this article, I share the story of how making a quilt earlier this year helped me to begin to come out of survival mode and lean back into living and getting out into the world. Oh how I love this quilt. You can find Somerset Life at Barnes and Noble and other bookstores, and you can order a copy here.